Inc 100 Most Innovative Leadership Speaker and Award Winning Author, Karin Hurt, Inspires Transformational change. Recently named on Inc’s list of 100 Most Innovative Leadership Speakers, and 100 Great Leadership Speakers for Your Next Conference, and American Management Association’s 50 Leaders to Watch, Karin Hurt helps leaders from around the world achieve breakthrough results without losing their souls. Karin has over two decades of experience in customer service, sales, and human resources. She’s the award-winning author of 2 books: Winning Well: A Manager’s Guide to Getting Results-Without Losing Your Soul and Overcoming an Imperfect Boss. Winning Well was recently named as a top business and leadership book by Inc and CEO Reads. A former Verizon Wireless executive, Karin transformed customer service outsourcing (96M calls/year) to reach parity in quality with internal centers and developed a leading sales team that won the President’s Award for Customer Growth. Her keynotes inspire leaders with proven and practical leadership techniques developed over her rich career as an executive, speaker, and strategic advisor. Karin has a BA in Communication from Wake Forest University, an MA from Towson University in Organizational Communication, and additional graduate work at the University of Maryland, where she teaches in the MBA and Executive Education programs. She and her husband, David Dye, are dedicated to their philanthropic initiative, Winning Wells, which provides clean water wells to communities struggling with access to safe water throughout Southeast Asia-- and donate Winning Wells in client's names as a thank you for their partnership. Karin lives outside of Washington, DC. She knows the stillness of a yogi, the reflective road of a marathoner, and the joy of being a mom raising emerging leaders. Winning Well A Manager’s Guide to Getting Results—Without Losing Your Soul Karin Hurt and David Dye It can feel like a rigged game. Executives set aggressive, game-changing goals, so managers drive their teams to burnout trying to deliver. Or, employees seek connection and support, so managers focus on relationships…and fail to make the numbers. The fallout is stress, frustration, and disengagement, and not just among team members—two-thirds of managers report being disengaged. To succeed, managers cannot choose between results and relationships. They need both: they must get people to achieve while creating an environment that makes them truly want to. Winning Well offers managers a quick, practical action plan—complete with examples, stories, and online assessments. They will learn how to: • Stamp out the corrosive win-at-all-costs mentality • Focus on the game, not just the score • Reinforce behaviors that produce results • Sustain energy and momentum • Correct poor performance without drama • Build productive relationships • Be the boss people want to work for Today’s hypercompetitive economy has created tense, overextended workplaces. Keep it productive, rewarding, and even fun with this one-stop success kit. Karin Hurt (Baltimore, MD) is a top leadership consultant and CEO of Let’s Grow Leaders. A former Verizon Wireless executive, she was named to Inc. Magazine’s list of great leadership speakers. David Dye (Denver, CO) is a former nonprofit executive, elected official, and president of Trailblaze, Inc., a leadership training and consulting firm. Overcoming an Imperfect Boss Want a better relationship with your boss, but don't know where to start? Are you working to be the best "boss" possible, but having trouble making deeper connection? Do you feel stuck in the middle trying to please a boss while being a good leader for your team? Most people leave the magic of what could be a career-changing relationship with their boss untapped. They follow traditional boss-subordinate protocol: say little, don’t rock the boat, and stay out of the way. This outstanding guide provides a practical step-by-step approach to the most challenging bosses and scenarios (e.g. dealing with a moody, disengaged boss, or jerky boss; getting your boss to trust you; persuading your boss to your point of view; finding out where you really stand). The assessment tools and exercises help leaders on both sides of the relationship to communicate their opportunities and goals, and to develop specific strategies for improving their relationship. The practical advice experienced executive, Karin Hurt shares in Overcoming an Imperfect Boss is a must read for leaders yearning to make a bigger impact in their career. This book will help you become the boss you wish you had. Karin Hurt on Speaking the Truth. Free Think Aha ebook. 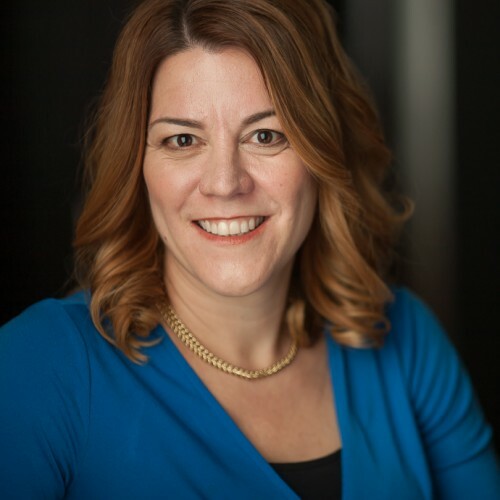 Find out more about Karin Hurt, Executive, Speaker, Author at http://letsgrowleaders.com.